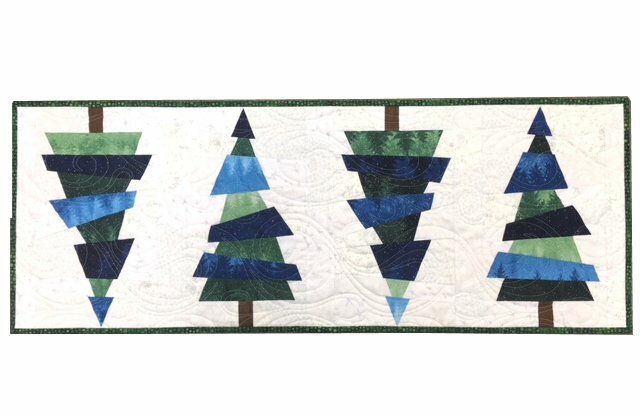 Kit to create a Crazy Christmas Tree table runner in blues and greens. Pattern included: Crazy Christmas Trees by Cut Loose Press. Fabrics included for the table runner top + binding. You will need 1 3/4 yards for backing (not included). Finished Size: 16" x 43"
Use Creative Grids Spider Web Quilt Ruler CGRKA6 to create this project.